Prince Emmanuel Kanu, the younger brother of the leader of the Indigenous People of Biafra, IPOB, Nnamdi Kanu, has alleged that leader of the Biafra Movement, BIM, Ralph Uwazuruike kidnapped the IPOB founder and also sold him to the military. 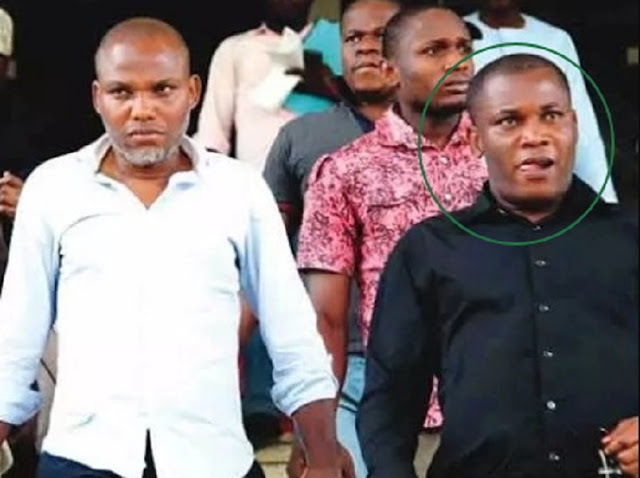 In an interview with Daily Sun, Prince Kanu said that Uwazuruike’s evil intentions for Nnamdi Kanu led him to kidnap him [Nnamdi] in 2009. According to him, this time around, Uwazuruike has succeeded in selling the pro-Biafra leader to the Nigerian Government and its security forces, adding that there will be no reconciliation between the two if Nnamdi Kanu finally comes out. He said, “Well, if the Nigerian army will release Nnamdi Kanu from where they kept him, I don’t see any reconciliation coming because Uwazuruike is a saboteur; he sold my brother to the Federal Government. “He had a hand in the military raid of our country home because he collected huge sum of money by the Federal Government for that purpose. “Uwazuruike always has evil intention; that was why he kidnapped my brother in 2009 and I gave him 24 hours to release him and after releasing him, he invited the DSS to arrest my brother at the Ojukwu Bunker which they did, all in an effort to ensure he was eliminated. “Uwazuruike must go into exile whether he likes it or not for betraying his people and at the same time insulting them. Nobody in his right senses will insult his people the way he did, that tells you how far he has gone to rubbish his own people for the sake of money.